Dunnikier Country Park is an area of greenspace in the north of Kirkcaldy consisting of semi-natural and landscaped woodland, a golf course, gardens and recreation ground. 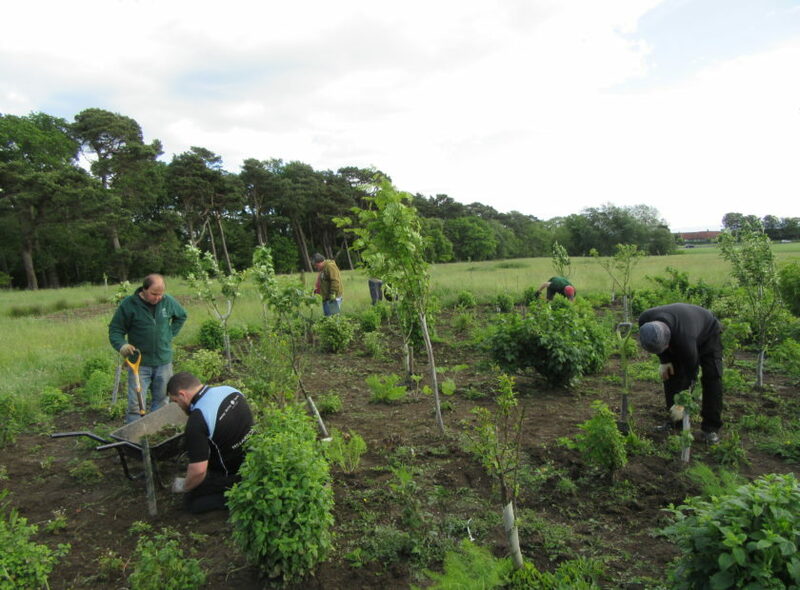 Greener Kirkcaldy works with volunteers and partners including Fife Council, the park development group, volunteer groups, schools and local businesses, to develop community use of the park and to increase biodiversity. Our volunteers have developed forest gardens and wild flower meadows, and planted 1000’s of bulbs, seeds and native trees to increase biodiversity. They also help with caring and maintaining plants, bushes and trees, as well as helping to plan future improvements that will benefit people and wildlife.